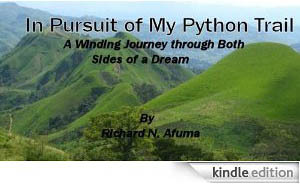 Richard Afuma: Jerry Rice Look-a-like? Do I Look Like Jerry Rice? 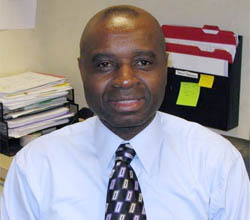 I have been approached by a number of women in my area's shopping mall and super market about how I look like Jerry Rice, the retired football icon and previous dancing with the stars winner. Initially, I did not know Jerry Rice and seemed dumbfounded. 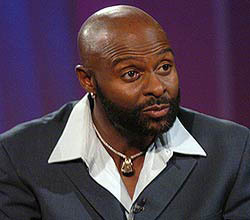 I am honored to be Jerry Rice's look-a-like, and would appreciate an opportunity to meet him someday. In fact, I have written to him through his Agent's internet address a number of times since 2008 to no avail. Since moving to the United States, I have discovered something that is quite unusual and exciting. 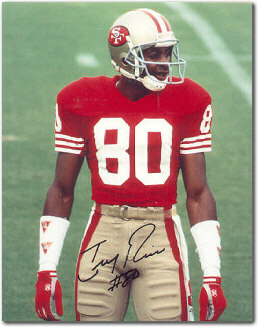 I have been told that I look very similar to the American football player, Jerry Rice. Before moving here I had never even heard of him, much less thought of my resemblance this American icon. I have been approached on numerous occasions by people in my community telling me how much I am the very picture of this Dancing with the Stars champion. Upon this remarkable discovery, I of course began researching this amazing man’s life and it is with great pleasure that I bear his likeness. He has accomplished many things of note and I would be ecstatic if I could someday meet him and take a picture with him side by side. I have even written to him through his agent’s e-mail address a number of times since 2008, although there has been no response to this date. I would be very interested to hear what you think and would appreciate any positive comments to that end. What do you think: Do I look like Jerry Rice?! ?